Missing end caps. Promo pricing non-compliance. Empty shelves. What’s a shopper marketer to do before her critical merchandising event of the year? 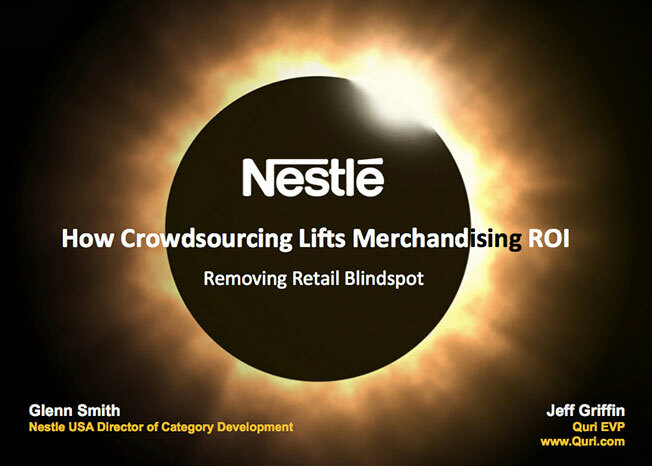 Download the presentation "How Crowdsourcing Lifts Merchandising ROI: Removing Retail Blindspot." When brands can’t see what their shoppers see, they can’t hope to understand the quality of in-store merchandising plans, even the best-laid ones. Worse, it’s impossible to hold a field force accountable. Partnering with Quri, Nestlé launched a summer 2013 execution assessment (covering the critical July 4 holiday weekend) of Dreyer’s ice cream and a Sept. 11-17 measure-and-correct deployment for a critical Coffee-mate in-store promotion. What Nestlé uncovered—pricing and promotion gaps ranging as high as 16%—and how they used actionable analytics—as part of an agile “measure, correct and learn” discipline to improve retail execution—are real wake-up calls for sales and shopper marketing professionals worried about the success of their brands’ in-store merchandising. We provide retail analytics for better retail execution and sales, plus visibility to see what your shoppers are seeing and the analytics to correct the problems you find. Our solution, our service and our technology were built with the sole purpose of solving the revenue-limiting problems of CPG companies and their retail partners. Quri uncovers the truth at retail and turn that truth into action that drives better retail execution and decision-making. 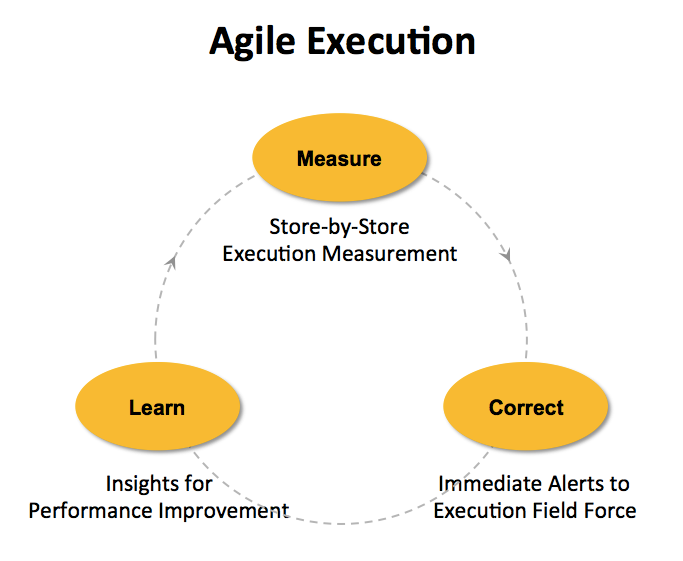 With a clear understanding of your business, Quri has built the only measure–correct–learn solution — Quri Agile — to address persistent execution problems that limit your retail sales and ROI.